In an issue of first impression, the Indiana Court of Appeals ruled recently in an Indiana car accident lawsuit that a vehicle that is insured but denied coverage following a crash should be considered uninsured under state law. The case has implications for future uninsured motorist (UM) claims in Indiana. Indiana requires every newly-written auto liability insurance policy to include uninsured and underinsured motorist coverage – unless it’s rejected in writing by the insured. Minimum UM/UIM liability limits are $25,000 per person and $50,000 per accident of UM benefits, $25,000 per accident for property damage, and $50,000 per accident for UIM benefits. This coverage protects insureds in the event they are involved in a crash with an at-fault driver who either doesn’t have auto insurance (as required by law) or doesn’t have enough auto insurance liability coverage to cover the full cost of the plaintiff’s injuries and damages. According to court records, two individuals were involved in a South Bend car crash. The plaintiff was insured by the Affirmative Casualty Insurance Company, and the defendant was insured by ACCC Insurance Company. A few months after the 2015 crash, the defendant’s insurer denied coverage based on his lack of cooperation in the crash investigation – which is a policy stipulation that exists in many auto insurance policies. In the following year, the plaintiff filed a complaint against the allegedly negligent driver and his own insurer, alleging that the defendant driver negligently caused his injuries and that the defendant was uninsured at the time of the crash, based on the denial of coverage by ACCC. He also asserted that under the provisions of his own UM policy, Affirmative should be liable for the damages he suffered as a result of the crash with an effectively uninsured driver. 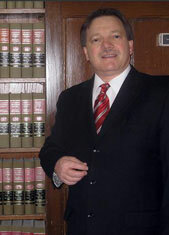 A few days later, Affirmative was declared an insolvent insurer, and the IIGA (Indiana Insurance Guaranty Association) was substituted as the defendant. The association filed a motion to dismiss, arguing that the denial of coverage by ACCC didn’t render the defendant driver an uninsured motorist under the law or its policy. The trial court denied this motion, and the IIGA appealed. The IIGA argued before the appellate court that the defendant driver wasn’t uninsured, and therefore the plaintiff had no actionable claim against Affirmative (and therefore no claim against IIGA) from which he could recover damages. The court reviewed Indiana Code section 27-7-4(a), which offers the definition of uninsured motorist vehicle. This (subject to terms and conditions of coverage) means a motor vehicle without liability insurance or a motor vehicle not otherwise in compliance with the state’s minimum financial responsibility requirements or other applicable requirements under another state’s law. The court ruled that a defendant driver’s vehicle whose coverage has been denied falls within the category of a vehicle that was “not otherwise in compliance with financial responsibility requirements.” The denial of coverage means that even though the defendant driver’s vehicle technically has insurance, the defendant is still without insurance that can actually cover any claimed damages. The justices added that to interpret this statute any differently would be against public policy because it would allow insurers to deny motorists coverage in a way that would defeat the purpose of a claimant’s buying insurance in the first place. Secondly, if a claimant was unable to collect UM benefits from his own insurance just because a negligent driver failed to cooperate or was otherwise denied coverage, this would leave the plaintiff without any remedy to recover damages at all after the crash – which would defeat the purpose of the legislators’ goal of ensuring all motorists are covered. Indiana Injury Attorney Burton A. Padove handles car accident claims throughout northern Indiana, including in Highland, Gary, and Hammond. Call Toll Free 877-446-5294.